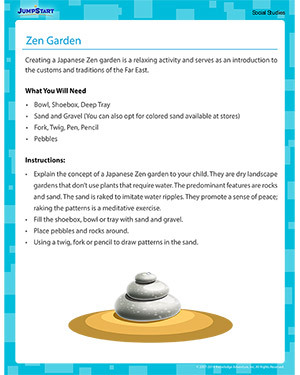 This free activity introduces kids to Zen gardens and Japanese culture. Working on these miniature Japanese rock gardens can be relaxing and will calm children. Children can be taught about various cultures around the world with these fun social studies activities for kids.